When you’re deciding what type of insurance best protects you and your family, knowing where to begin and how to sort through all of the information can seem like an impossible task. At Goosehead Insurance, we’re here to help you make these important decisions. Byron Spears has a knowledgeable staff in all areas of personal insurance (auto, home, life, rental) and it is our mission to provide you with the most comprehensive information, excellent customer service and best rates possible to ensure you and your family are always protected. Goosehead Insurance has helped thousands of customers like you make these life impacting decisions. 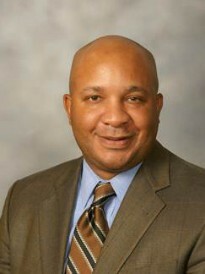 Prior to joining Goosehead, Byron Spears was a recognized as Allstate’s Premier Servicing Agent and Honor Roll Winner. In his spare time, Byron enjoys spending time with his wife and son, playing golf and following Kansas University Basketball.